Since 2010, 642 officers have been killed in traffic collisions, 37 of which were attributed to vehicle pursuits (ODMP). Previous research on police pursuits has shown consistency with 40 officers killed over an earlier 8 year span (1994-2002). Overall, traffic-related fatalities were the number one cause of officer deaths in 2017, claiming 47 lives. In addition to these figures, it is estimated that 100 innocent civilian lives are lost per year due to police pursuits. The facts speak loudly about an often-neglected aspect of officer safety – pursuits and emergency driving. 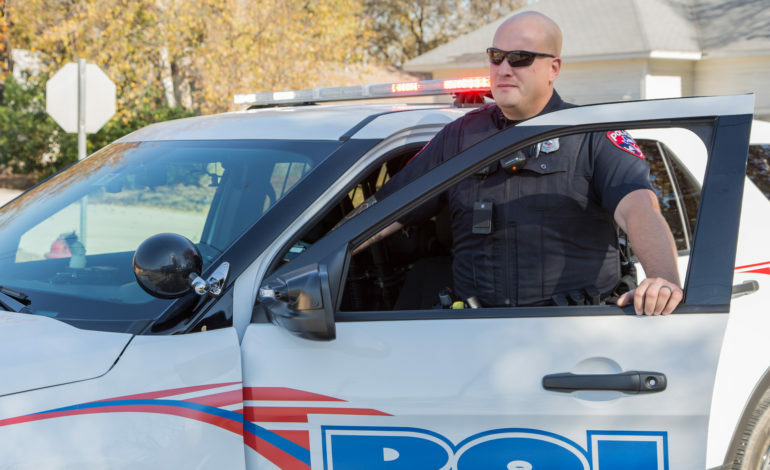 Some officers may be cool as a cucumber under stress; others might believe training or previous experience in emergency driving has made them infallible. I would bet my paycheck those officers who have died while conducting emergency vehicle operations felt the same way. In their honor, we should not be overconfident in our abilities. We must all realize that human beings (individually and as a whole) have certain capabilities and limitations while operating under the acute stress associated with emergency driving. 1. Perception: A process of receiving and interpreting information. Information not perceived is unavailable for interpretation, judgment, decision-making, or to memory. Information misinterpreted increases the chance for human error in these same areas. Selective attention: The spotlight is fixated on a central object while peripheral information goes unprocessed. Selective attention under stress is somewhat synonymous with tunnel vision in that “the spotlight” beam may become narrower. Inattention blindness: A failure to see an unexpected object within the field of view. Change blindness: A failure to notice a change which happens within the field of view. 3. Decision-making: Decision-making is often described as a process based both in subconscious and conscious input. Better decisions are made when all the information is available; there is time to process the information; and time is available to evaluate response options. However, acute stress can compromise decision-making based upon the need for rapid judgment with less information. In some cases, the resulting inferences result in human error. 4. Response time: This includes the time to perceive a change in the environment, mentally process what the change means, decide how to respond and the movement required (i.e., press the brake). Acute stress, perception, attention and many other factors can have both positive and negative effects upon response time. 5. Stress & psychophysiology: Human performance has been proven to be affected by situational and environmental stressors (e.g., speed and time compression). The sirens, driving speeds, erratic radio traffic, multi-tasking and general thrill of the chase will likely cause a fight or flight response. In turn, stimulant hormones (adrenaline, epinephrine and cortisol) will be released at increasing levels dependent upon the perceived demand and threats encountered. Stress hormones can increase performance, but at extreme levels, they have been shown to cause deficits in cognition (decision-making), motor performance (reaction time) and overall perception of the environment (tunnel vision). Placing these human factors in context, we know emergency/pursuit driving is a high stress endeavor requiring an officer to divide attention between the suspect vehicle and occupants, his own vehicle (speed and equipment), talking on the radio and scanning the environment for hazards. Each task, rapidly presented and sometimes overlapping, competes for attention. All while your vehicle, traveling at 80 or 100mph is crossing approximately 117 or 147 feet per second, respectively. A failure in attention, even for a split-second, may result in a failure to process important information, make good decisions and react in a timely fashion. This is commonly referred to as a loss of situational awareness, which can result in catastrophic outcomes. 1. Agencies should provide awareness training concerning the various human factors that may affect performance during emergency/pursuit driving. 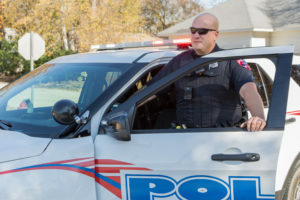 There must be some understanding of the capabilities and limitations of officers while operating under stressful situations (i.e., speed, time compression, and multi-tasking). Acute stress recognition: An important first step in mitigating extreme stress reactions. Breathing control: An acute stress response can cause shallow breathing and even hyperventilation. Deep abdominal breathing allows for increased oxygen intake and may slow heart rate and decrease blood pressure. Positive self-talk: Telling yourself to stay calm and that you will be successful in the task has been shown to increase performance. Mental rehearsal: This involves visualizing yourself in a pursuit, including the sub tasks of watching the violator vehicle, broadcasting updates, and checking for cross traffic and other threat points. 3. Making reasonable decisions is the most important aspect of emergency driving. Risk versus gain thresholds should be mentally established before an incident occurs. For instance, what is your personal threshold to begin and continue a pursuit? Do those thresholds align with departmental policy? An officer might consider the originating crime, the danger of initiating a pursuit, available technology to the officer, the potential for future capture of the suspect, and the potential risks to the community. These decision points should reasonably be decided upon before an event occurs. When faced with a real-world choice consider the “Three Question – Forced Choice (3QFC)” pursuit decision-making model (outlined below). Conduct agency in-service training that reviews pursuit and emergency response driving. In closing, consider what message officers who have died in pursuit and emergency driving-related collisions would give to you. Life can be taken in an instant; slow down, wear your seat belt and decide what outcomes you are willing to risk versus the need to capture the suspect immediately. Remember, your decisions to engage or remain in an emergency driving situation may directly affect your own safety and that of the community you serve. Is the suspect an immediate or future threat to the public prior to pursuit (threat of death or serious injury if not apprehended immediately)? IF YES – Pursue and move to #3. IF NO – Move to #2. Is the non-compliant violator driving with due regard for the safety of others? IF No – Don’t pursue. What is the plan to end the pursuit as soon as practical? Examples: Ramming/deadly force if objectively reasonable, PIT, boxing, curbing, tire deflation, air support, termination. *3QFC is attributed to Retired San Jose PD sergeant and vehicle pursuit expert Jeff Martin of DSI Consulting. Inattentional Blindness: How Many Passes? David Blake is a retired California Peace Officer and certified Ca-POST instructor in DT, Firearms, Force Options Simulator and Reality Based Training. His experience includes SWAT, Force Option Unit, Field Training, Gangs/Narcotics and Patrol. He is a certified Force Science Analyst and teaches the Ca-POST certified courses entitled Force Encounters Analysis and Human Factors: Threat & Error Management for the California Training Institute. He also currently facilitates the Ca-POST Force Options Simulator training to tenured officers from multiple jurisdictions. Dave is an Expert Witness / Consultant in Human Performance and Use of Force.